Why is Google Calling Me? 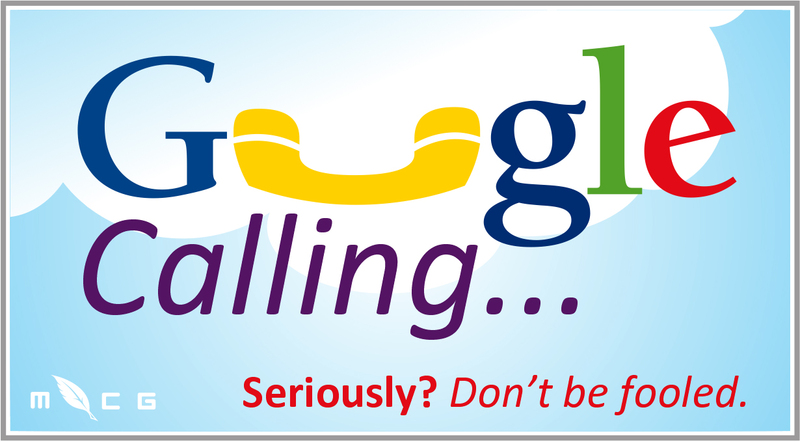 | McQuillen Creative Group, Inc.
Home / Website Design & Development / Why is Google Calling Me? Don’t succumb to the temptations and sales pitches of SEO companies. Here are just a few of the companies that have benefitted from MCG’s Online Visibility Package: Revive Day Spa, First State Bank of Claremont, Helm Marine, Gold Dust Casino, Home Place Suites, InsuraCrop and Splash Creative Bath.